Experience waterfront living at its finest in this superbly crafted home overlooking Weeks Bay. It was remodeled in 2009 and is designed for easy living. There are porches galore, both open and screened-in, and every bedroom has its own private porch. Tall ceilings and doors give the home an additional feeling of openness. The kitchen has heart pine cabinetry, granite countertops, a Wolf range, Sub-Zero refrigerator, separate ice maker and wine fridge. The master suite is large and inviting with beautiful views of Weeks Bay. The home offers a bonus room and 3 additional bedrooms and 2 full baths as well. There's lots of storage in the enclosed area downstairs and 75' of beautiful waterfront for your outdoor living pleasure. 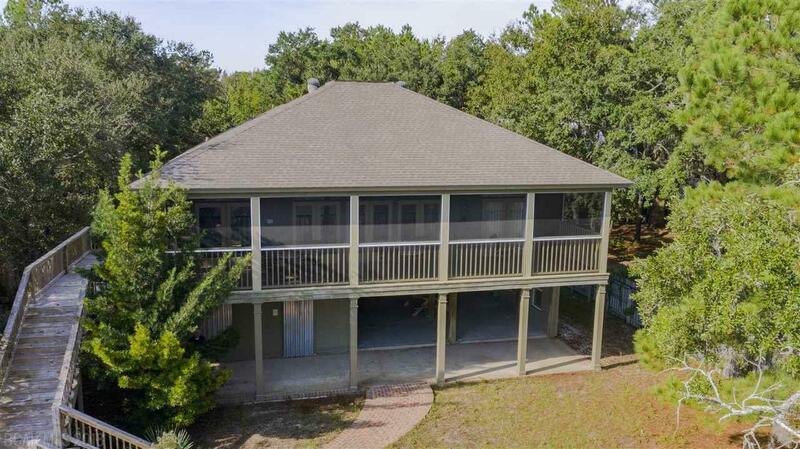 Enjoy swimming, fishing and boating from the wharf with covered a entertaining area and boat lift. If you are looking for a high- quality home on the water, this is it! Listing provided courtesy of Blackwell Realty, Inc.. Listing information © 2019 Baldwin County Association of REALTORS® MLS.